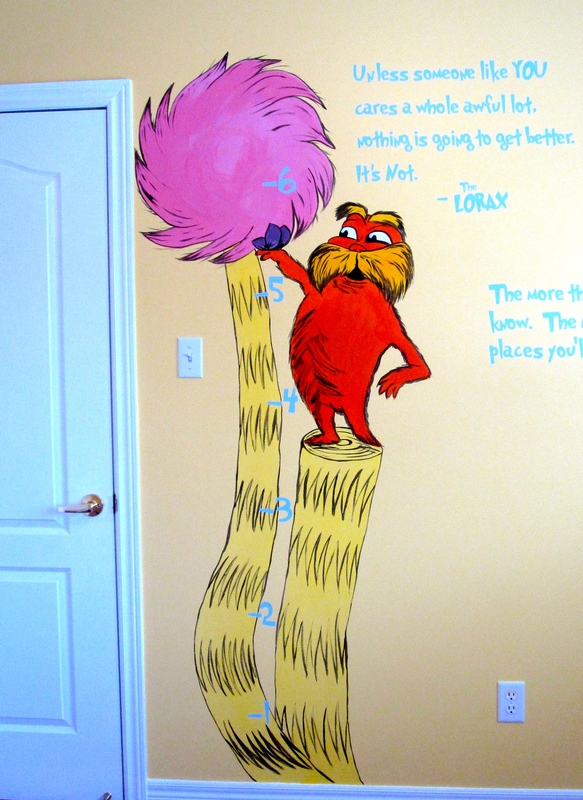 I was recently able to cross a mural off my bucket list… Dr. Seuss’ “The Lorax”! 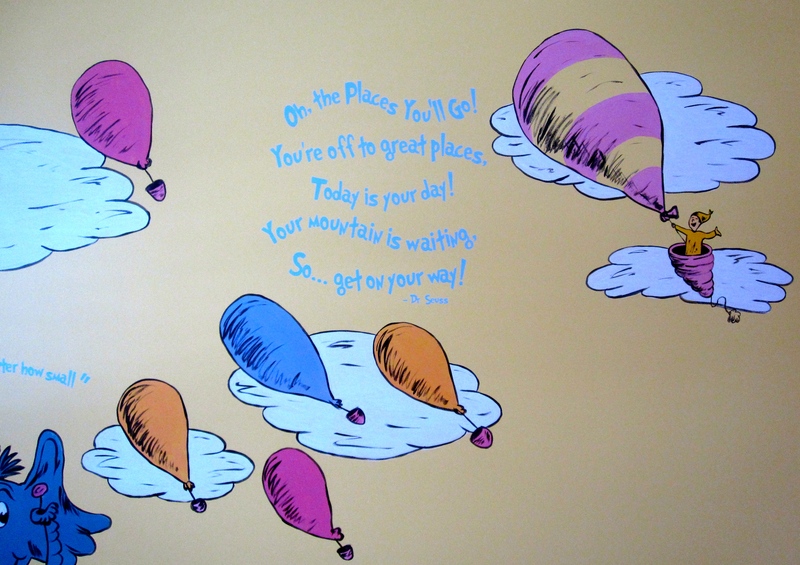 I love Dr. Seuss’ style; I find it translates very well as a mural. The bright colours, simple yet expressive forms and the sketchy element it brings is very freeing to paint. 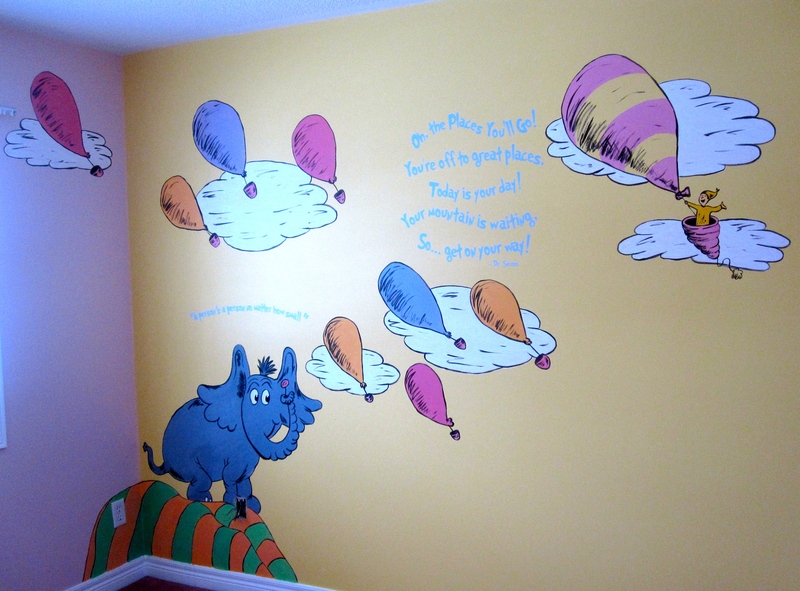 This vibrant mural was for a very loved one year old girl. 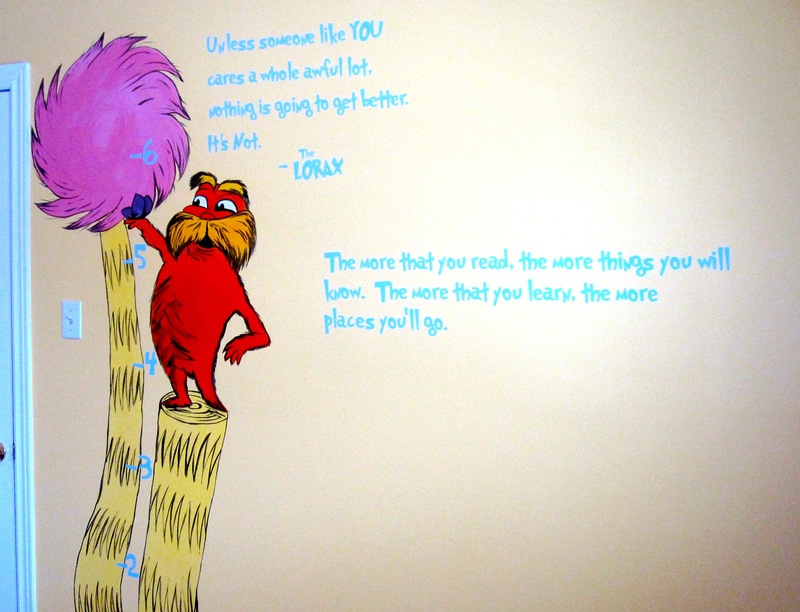 Not only was I able to tackle “The Lorax” but also “Oh The Places You’ll Go” and “Horton Hears a Who”. 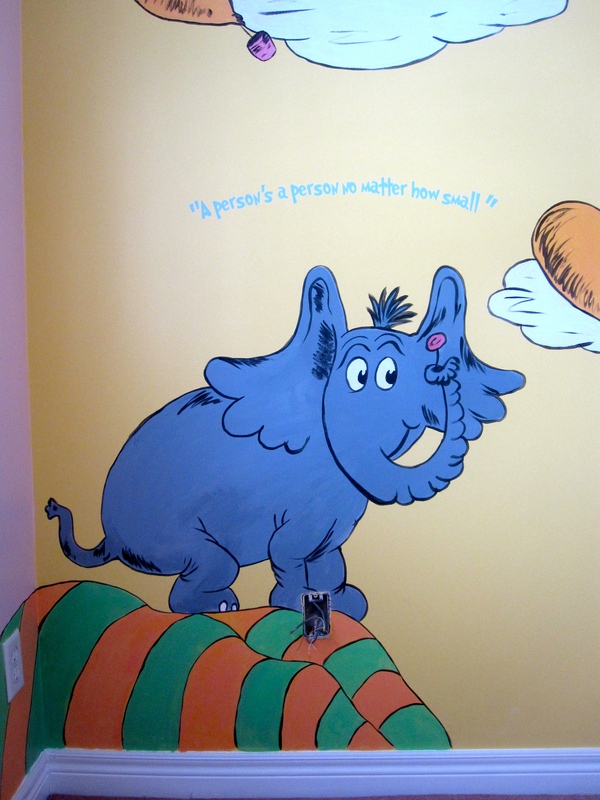 I collaborated with Lena from Muse Signs to add some very insightful Dr. Seuss quotes. 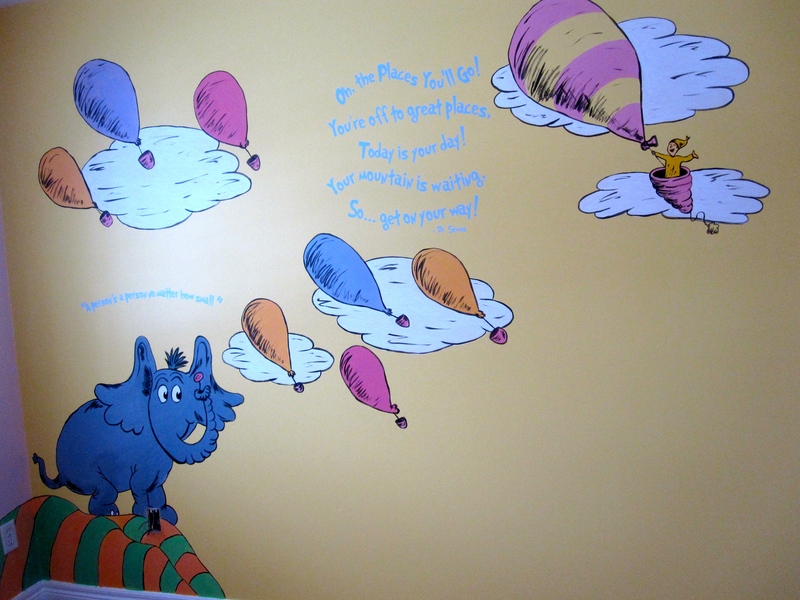 I think this mural will inspire for years to come! You did an amazing job Joanna! Thank you for all your efforts, greatly appreciated 🙂 Look forward to creating more inspiring rooms! 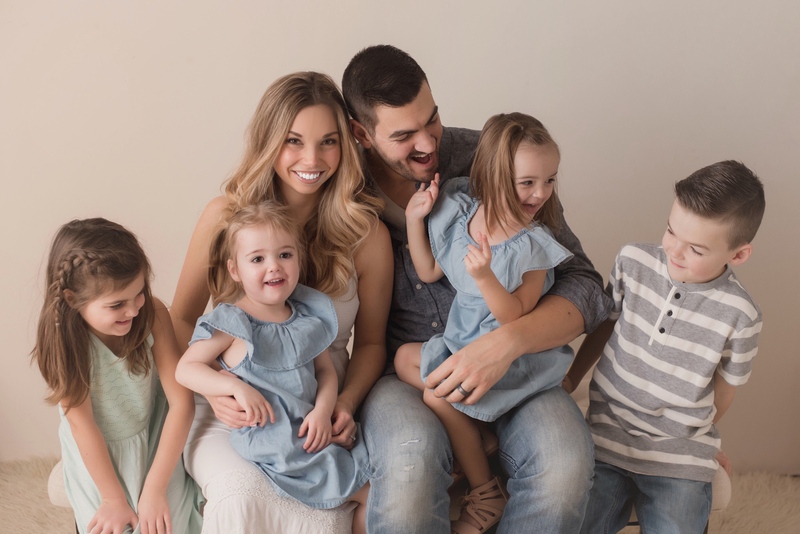 Next Next post: Life Shocker… Twins are on the way!